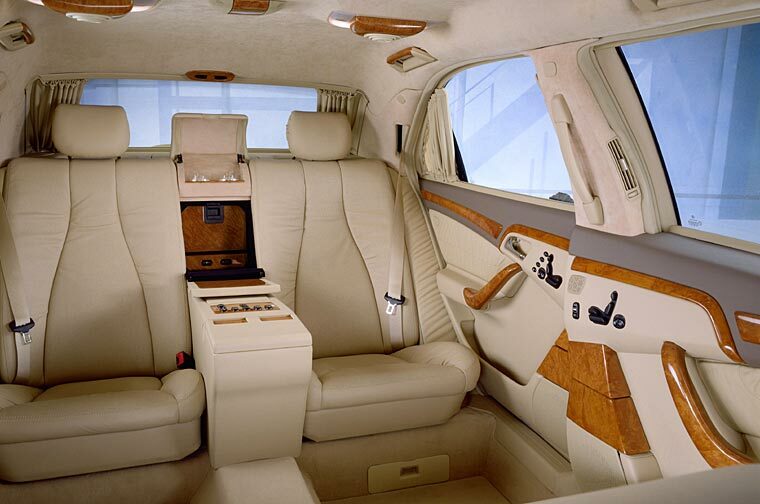 On the base of the successful S-Class Mercedes-Benz has developed a new top-model for very special occasions: The Mercedes-Benz S-Class Pullman. With that the Stuttgart car marque continues its tradition of more than 70 years as manufacturer of representative limousines. The new model, which celebrates its world-premiere at the beginning of November 1999, combines most innovative automobilistic technique with utmost comfort and luxury. The Mercedes-Benz S-Class Pullman is available with eight- or twelve-cylinder engine and excels by a wheelbase extended by one metre compared to the long wheelbase version. The additional space is of benefit to the rear passengers, who can make theirselves comfortable on a Vis-�-vis seat arrangement. The foot space between the two seat rows in the rear measures impressive 70 centimetres in length - that is roughly 20 centimetres more than with the Pullman-model on the base of the S-Class predecessor (model line W140). The rear row of seats comes with electrically adjustable outer seats as standard or with two electrically adjustable single seats as an option so the new representative limousine gives space for six or seven passengers altogether. 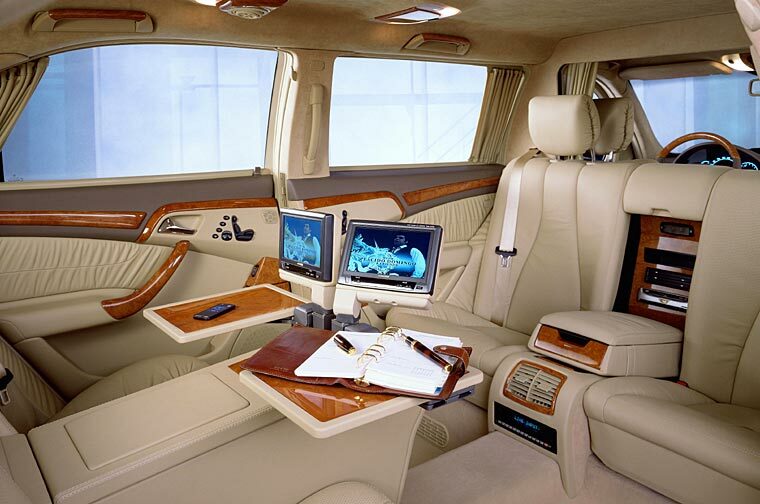 Whilst the driver of the Mercedes-Benz S-Class Pullman profits from all standard innovations like COMAND, navigation system, multifunction steering-wheel, electrically adjustable seat with lordose support, parameter steering or Xenon-headlights (S600), Mercedes customers can equip the rear of the new S-Class Pullman limousine fully to their personal request.